I finally sewed my first Named pattern! I’ve been admiring the aesthetic and apparent quality of this Finnish brand’s patterns for years, but I’ve always had trouble picturing myself in their garments – too edgy for me. But then the Playground collection was released and I instantly fell in love with the Reeta shirtdress and the Helga playsuit. 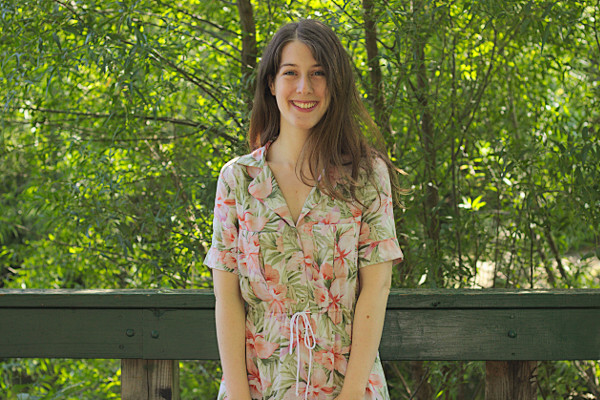 I managed to talk myself out of the playsuit, since I couldn’t figure out where to wear it, but the dress went straight to my pattern library. Back in May, I was invited by my neighbors from Sprout Patterns to take a tour of the Spoonflower HQ, right next to where I live in North Carolina. 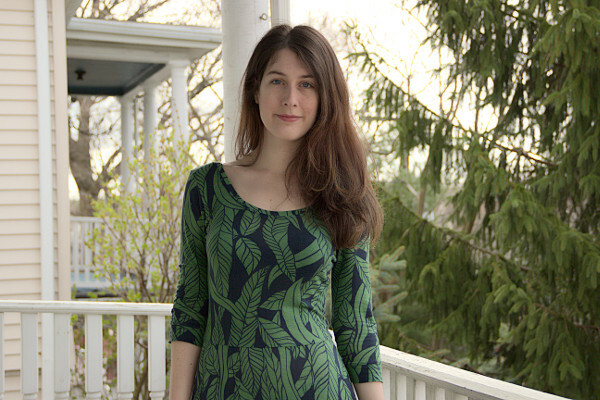 If you don’t know Spoonflower yet, it is the leading company for on-demand printed fabric. Their website lets you pick a fabric quality and print your own design, or choose one in their gigantic design library. Sprout Patterns is one of the new services they offer, which launched last year. Its concept: combining the fabric printing capabilities of Spoonflower with a curated selection of indie patterns to offer customized sewing project kits. These come in the form of fabric yardage with pre-printed pattern pieces, that you just have to cut along the lines. At first I had mixed feelings about this idea. 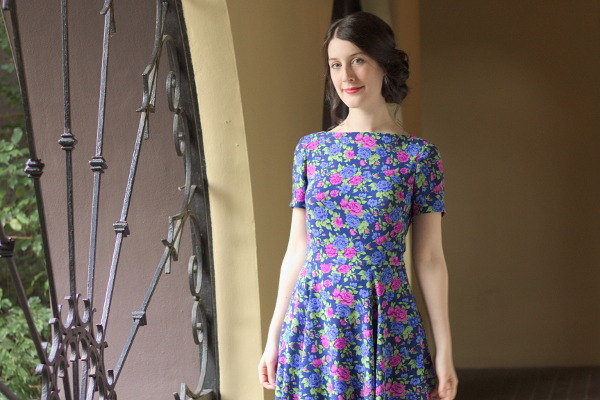 On the one side, I am generally skeptical about pre-cut fabric or patterns, such as the kits offered by the French company Eglantine et Zoé or the iron-on patterns from Made in Me Couture, as they prevent from making any sort of adjustments. On the other hand, I am super passionate about the intersection of sewing and technology (3D garment modeling, automated print/pattern/cutting layout generation, etc.). I was thus very curious to try their product first-hand, so when Nicole and Caroline offered to send me a project to review for free, I said yes! 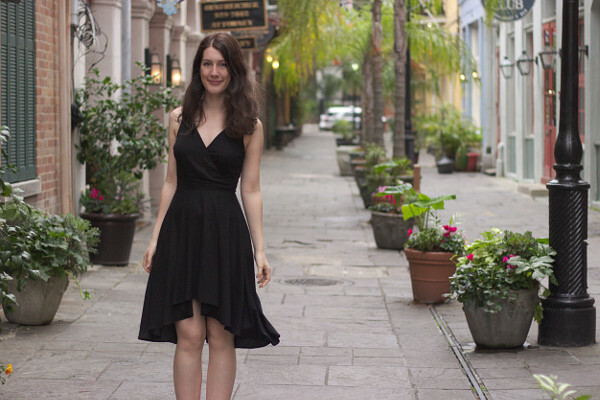 One more wedding-themed post today with my latest dress: a floral rayon number I made to attend a wedding in New Orleans in March. The pattern came from Boundless Style, a book written by Kristiann Boos from Victory Patterns, and it’s time to share my feelings about it.